Stimulating interest in children is key to potty training success. Motivate and reward children using 126 full color stickers. Positive reinforcement gives children pride and a sense of self-accomplishment. The 126 stickers (each a one inch diameter circle) have images of different potty related subjects - no repetition. 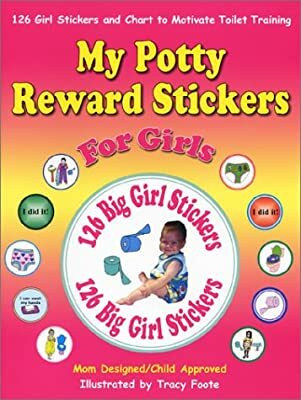 Many stickers have toddler girls for children to imitate. 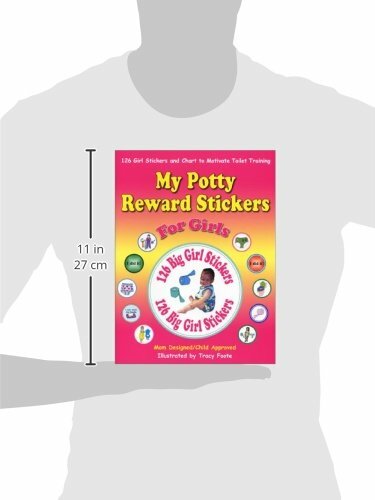 After successful potty attempts, place a sticker on the child's shirt or use the chart (which you can hang like a calendar) provided. Potty training works when it's fun!